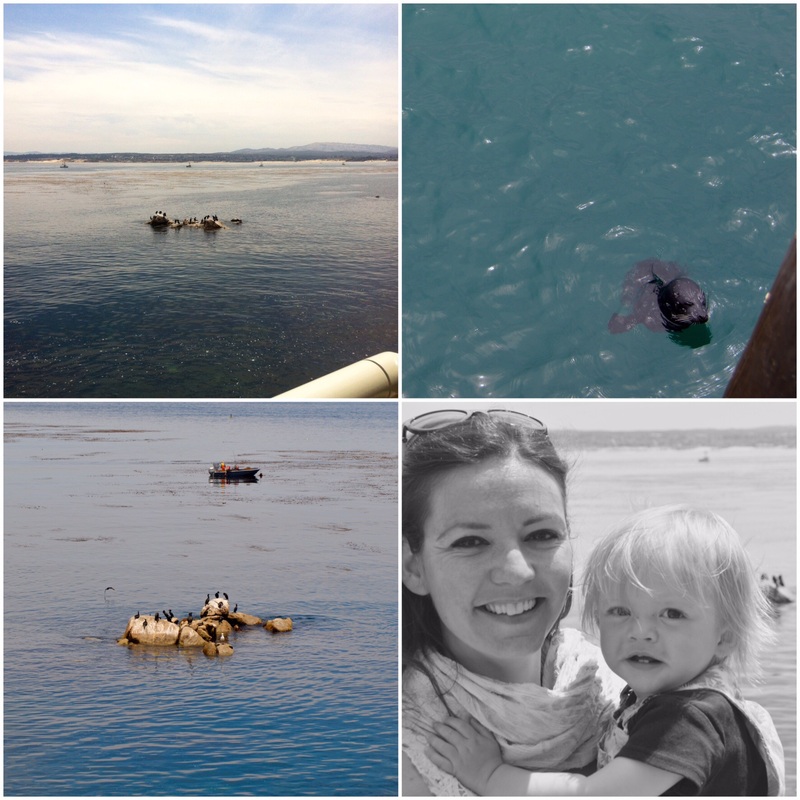 I was a little bit sceptical about the day trip to the Monterey Bay Aquarium because aquariums normally just keep animals locked up like a zoo and train them to perform shows. We don’t like that. Well, the prejudice couldn’t be further from the truth. This one operates as a non-profit organisation and has a clear mission: conservation of the oceans, inspire and encourage visitors to help, save animals, especially apex predators like the sea otters, sharks and bluefin tuna, share discoveries, transform markets to secure more sustainable seafood recourses and lobbying for all of these initiatives. Buy tickets online and arrive early to avoid queues: this is a very popular place to be. You can easily spend a good couple of hours here with all the tours, feeding sessions and just by walking through the whole aquarium. I can safely say, it’s great fun from 15 months onwards. Bobcat was only 15 months old when we took him there and he loved it. 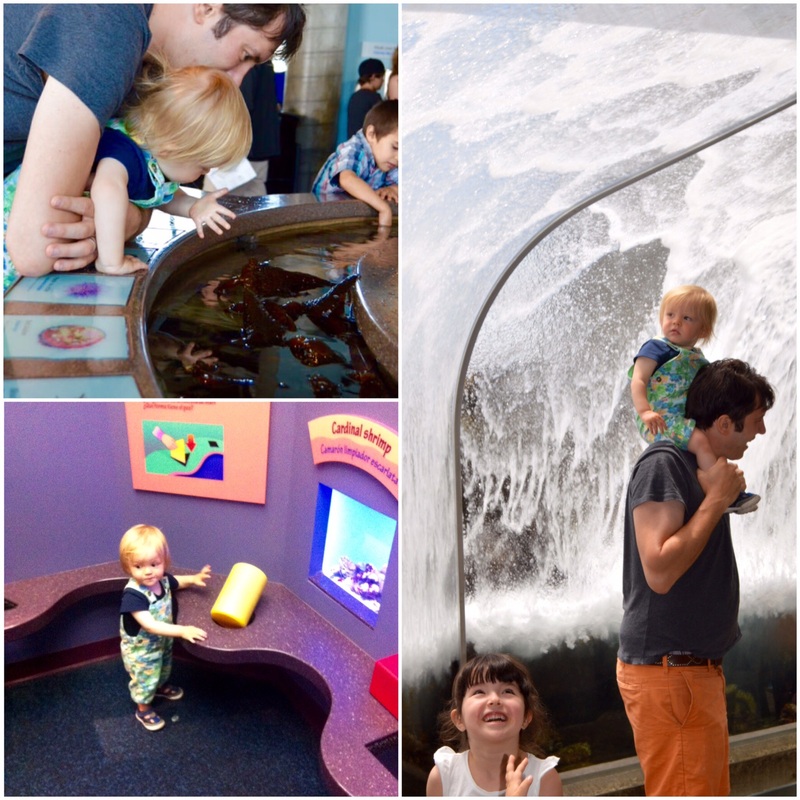 There’s a lot of sensory and interactive installations for small children, like the Coral Reef Kingdom with waterbed play area and touch pool. There’s some other educational and fun things scattered around, tubes they can crawl trough, ocean wave crash simulator and of course all the enormous fish tanks full with beautiful and colourful sea creatures. Bobcat loved jumping around the waterbed, the block area of the Coral Kingdom, the Enchanted Kelp Forest with the touch pool, watching the scuba diving session and after a little while, he started to enjoy the wave crash simulator. There are great views to the bay and animals to spot: sea otters, sea lions, cormorants and more. There’s always attentive staff around to ask questions. Feeding times are good fun for older children and adults equally. In the auditorium they show interesting short films for visitors of all age. Even the architecture of the building is fascinating having transformed it from an old cannery. They even do sleep overs for bigger children! We really hope to be back when Bobcat is older. If you’re hungry – and you’ll be if you want to explore everything – there’s a food court style restaurant, mainly with boring kids friendly food, but freshly prepared and served. Save your appetite after you left the aquarium, the town has some great little restaurants serving fresh seafood and their famous clam chowder. 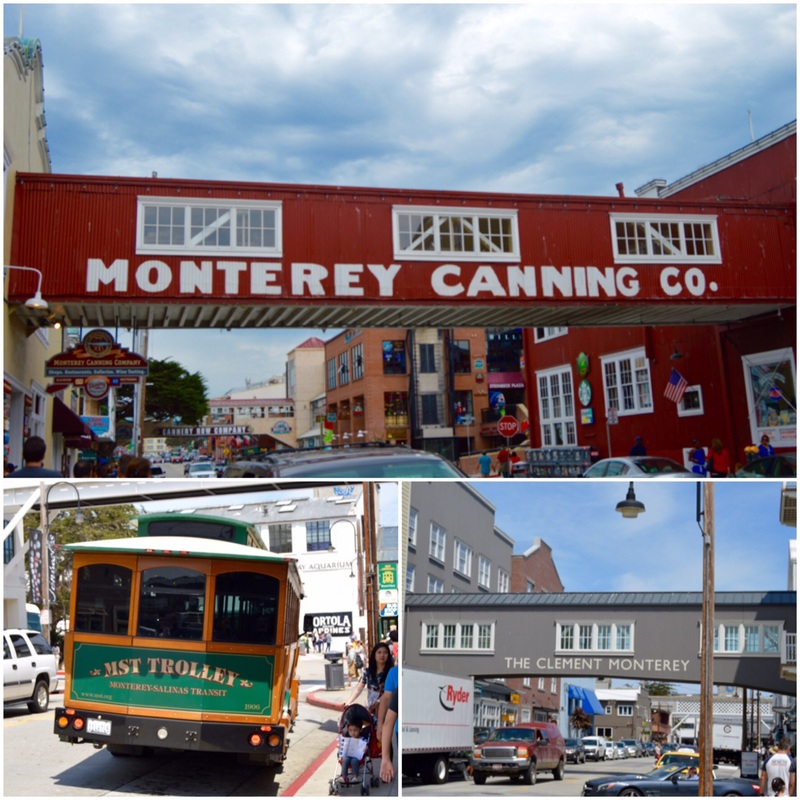 Also save some time for having a little historical walk on Cannery Row. Lovely pics and I am sure even better memories for you and your family. thanks for linking up to #globalblogging.